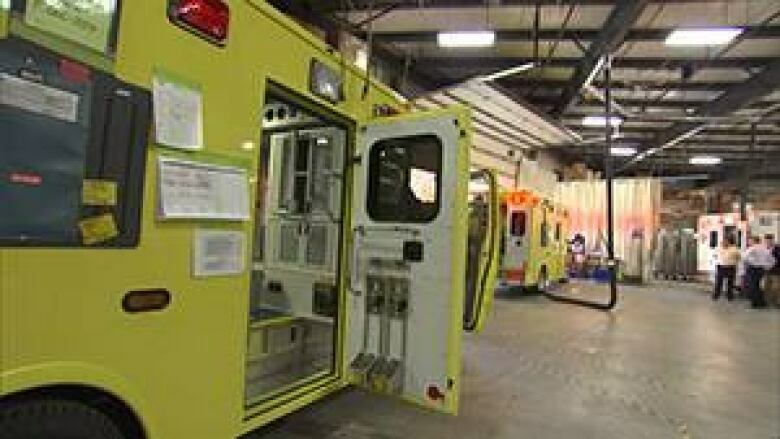 The province shouldn't use a common current type of ambulance as the basis for $70 million in new emergency medical vehicles to be purchased over the next five years, some paramedics warn. Quebec is embarking on an ambitious plan to standardize every ambulance in the province over the next five years, at a cost of nearly $70 million. But some critics say the common current model of ambulance has problems and shouldn't be relied on to overhaul the 500 vehicles from Rouyn-Noranda to the Magdalen Islands. A CBC News investigation found that there's a number of concerns with that kind of ambulance, which is gradually replacing older vehicles, particularly in the fleet of Montreal and Laval. Chief among the issues raised by paramedics: that the rear suspension is too stiff and can cause patients to be jostled around. The new ambulances are based on a chassis made by General Motors called the Chevrolet Express 4500. Urgences Santé, the ambulance service for Montreal and Laval and the biggest paramedic agency in the province, already has 30 of the Chevys in its fleet of 154 and is expecting up to 40 more by the end of next year. The agency had to switch from a Ford-based vehicle two years ago because Ford stopped making a diesel-powered version, and it acknowledges the Chevy has drawn complaints from staff. But there are options. The company that assembles the ambulances for Urgences Santé, Beloeil, Que.-based Demers Ambulances, says in tests it's run, a different model of Chevy, the 3500, is closer to the Ford in terms of the smoothness of the ride. "You'll have a softer spring suspension, so you will have a little bit less harsh ride, and you'll feel the difference when you're actually in the back of the ambulance," said Michel Pelletier, head of engineering for Demers. The problem is that the 3500 is rated to carry 860 kilograms less weight, meaning ambulance services across the province would have to dump equipment from their vehicles. Pelletier said it's doable, though. "We look at the design, we look at the different aspects of the ambulance, and we figure out where can we take away some material, where can we lighten it up and keep it safe at the same time, to be able to give them either more usable payload capacity or a better ride." Paramedics aren't entirely sold, however, on the idea of one province, one ambulance. 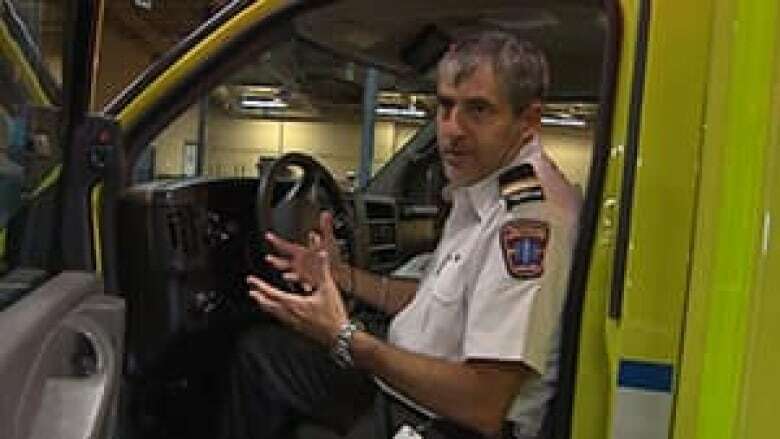 The head of Quebec's paramedics union says different communities have different needs. In a remote town, where it could take half an hour or more to get to a hospital, ambulances should be stocked with lots of supplies and medicines. In cities, the ride to the hospital is mere minutes. "From Ste-Anne-des-Monts to Gaspé, or from anywhere in Abitibi to Val-d'Or, where they have a lot of travelling to do, they need a lot more pharmacy," said François Trudelle, president of the Federation of Paramedic Service Employees of Quebec. Meanwhile a sleeker vehicle would do better on the narrow streets of Quebec City or Old Montreal, Trudelle said. "You don't need the same truck all over Quebec, or you don't need the same truck to do everything that is being done right now with the ambulance. You could split." Ambulance manufacturers, emergency medical responders and their agencies, and the Health Ministry are working on the specifications for the new provincially standardized vehicle. It's supposed to be ready by early next year, following which Quebec will put out a tender call for a new provincial fleet. "We believe it is a good thing, definitely is," Urgences Santé spokesperson David Sasson said of the standardization process. But he acknowledged it will be difficult to find a vehicle that everyone's happy with. "Everybody has a taste for what they like, and that's normal for us," he said. "We've done different evaluations and different tests of what the vehicle should be…. At the end of the day, we're going to please as many people as we can."